Click the button below to add the 78 79 80 81 82 Cutlass Cruiser 3 Row Champion Radiator to your wish list. Check Out Champion Customer Russ, Testimony, and Video1968 Ford Mustang Coupe 302ci +500hp!After building A 302ci racing engine my stock radiator couldn't keep it cool. My racing friend suggested I get a 3-Row Aluminum Radiator and I expect to pay over $500. I found Champion Cooling who had the best value and an easily installed 3-Row Aluminum Radiator for under $300. The inlets and outlets fit perfect. After that, many photos were taken by POPULAR HOT RODDING Magazine. 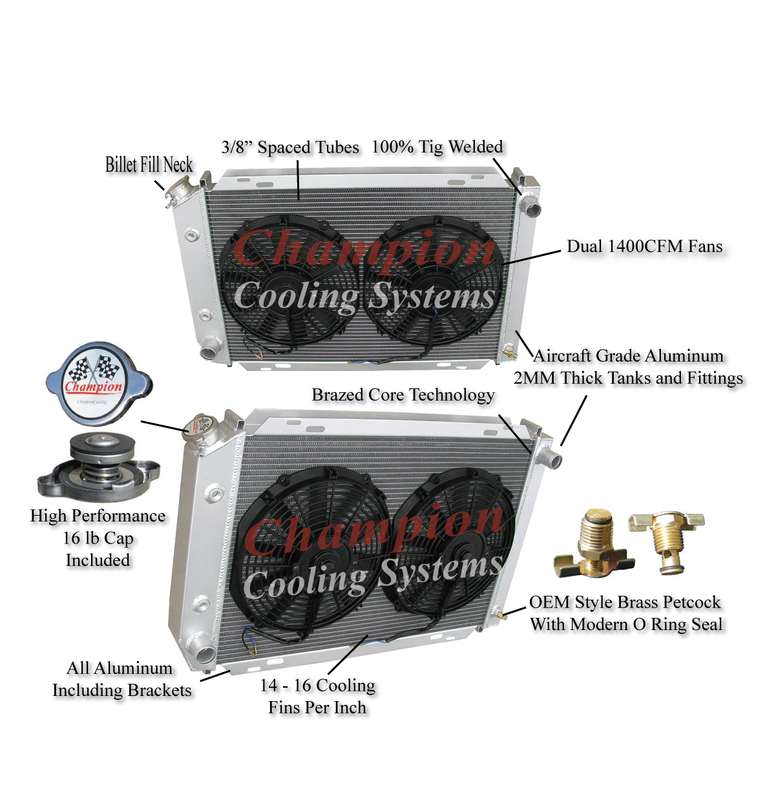 I know that made the guys at Champion Cooling crack a smile. For 1978-83 Oldsmobile Cutlass Cruiser Will Cool Up To 850hp You will not find a better guarantee anywhere on eBay! Radiator Above is Just An Example of How Fans Will Look. Radiator Below Is Actual One You Will Receive + Two 12" Fans.